Docks to Delta Program Brings California's Agricultural History to Life Aboard the Capitol Corridor - Get on Board! 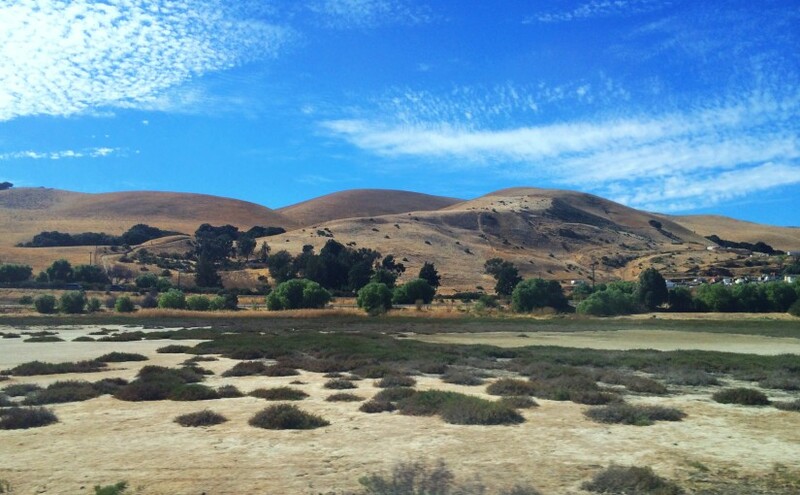 Anyone who rides the Capitol Corridor train can appreciate the freedom it bestows. There’s no traffic to contend with, so you can sit back and relax, read a book, access the Internet, enjoy something from the Café Car, listen to music, or socialize with friends and family. The options are limitless. On Saturday, September 26, 2015, one group of travelers took the train experience to another level by participating in an on board educational program organized by the California Institute of Rural Studies (CIRS). The program, entitled Docks to Delta: Listening to the Landscape Along the Capitol Corridor, was conducted entirely on a Capitol Corridor train, with the group traveling midday from Oakland to Sacramento, and back, with only a short, 40-minute layover at the Sacramento Station. The main organizer of Docks to Delta and a CIRS project director, Ildi Carlisle-Cummins, contacted Capitol Corridor several months in advance of the trip to arrange for the group to travel together in one car. Capitol Corridor offers a discount fare for groups of 20 or more, and of the dozens of groups that travel each year on the Capitol Corridor, most take the train to a specific destination where they spend some time before the return trip. This group excursion was different though because the train ride itself was the destination. 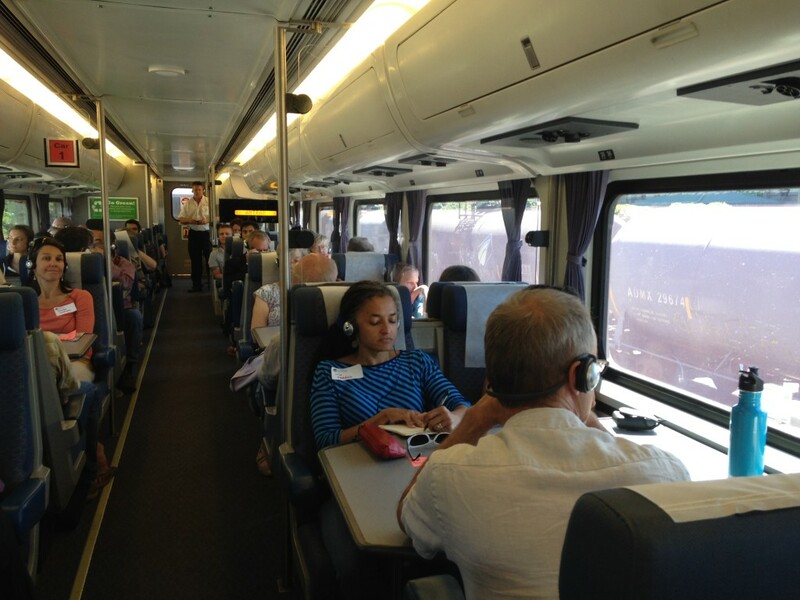 During the trip to Sacramento, participants were seated on the top and bottom levels of one train car wearing headsets that CIRS had distributed in Oakland. 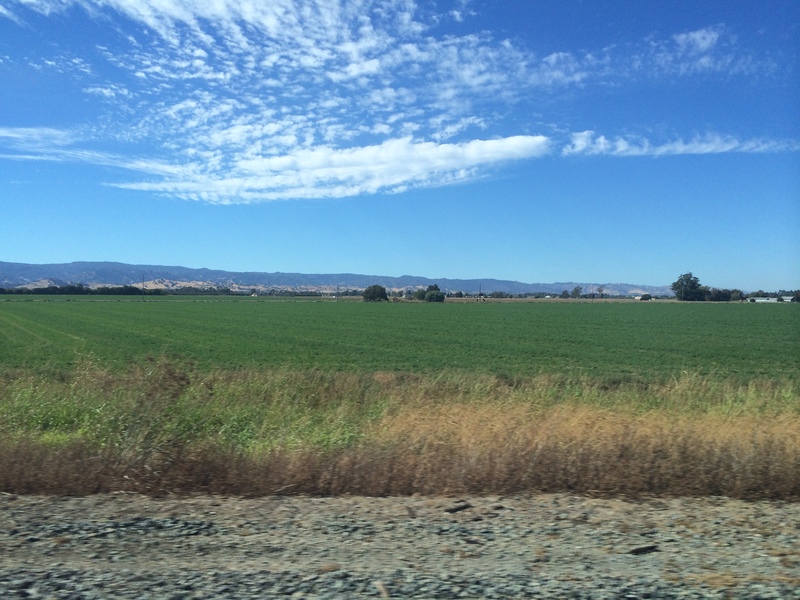 They listened to untold stories, narrated live, of California’s rich agricultural history as the train made its way from Oakland and Berkeley, along the beautiful shores of San Pablo Bay, through the Suisun Delta and rich farmlands of Davis, and on to Sacramento. All of these stories are available to the public via a series of three podcasts developed by CIRS after the on board event. 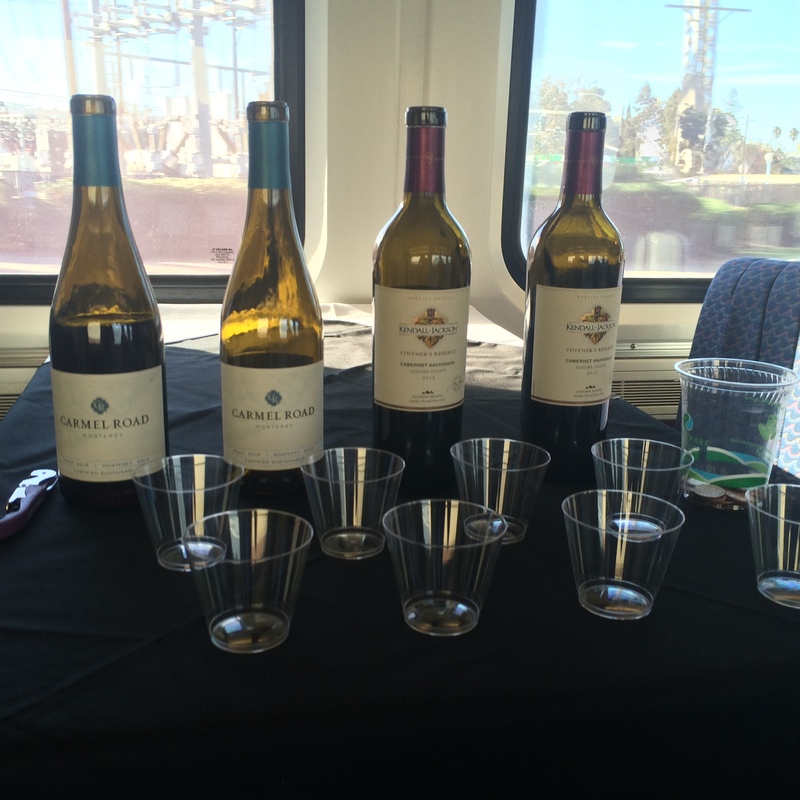 On the way back to Oakland, participants and regular passengers who happened to be on the train, enjoyed a wine tasting event featuring wines served on board the Capitol Corridor and selections from a local vineyard; lunch provided by Whole Foods; and the opportunity to converse with one another and the storytellers. This article was originally posted in October 2015. 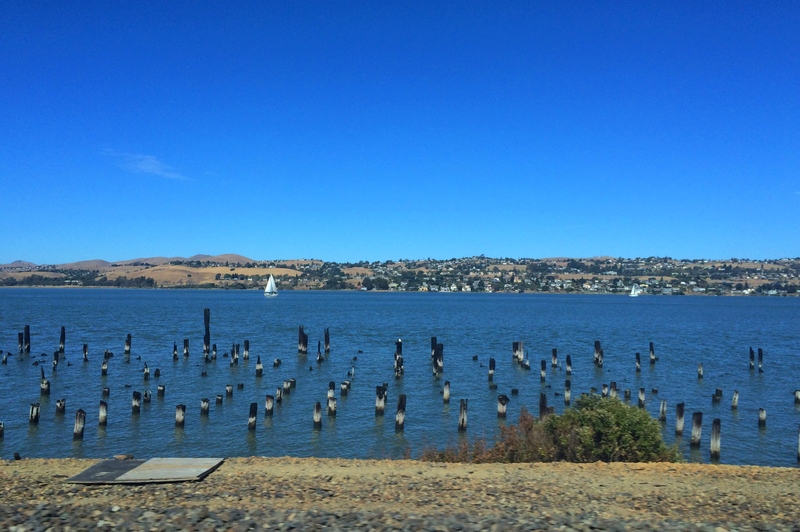 The Docks to Delta podcast series is now available for your listening pleasure on the Capitol Corridor website.